For Christmas 2018 we are producing some special flavours of Ice Cream and Sorbets and some Innovative Ice Cream Desserts. 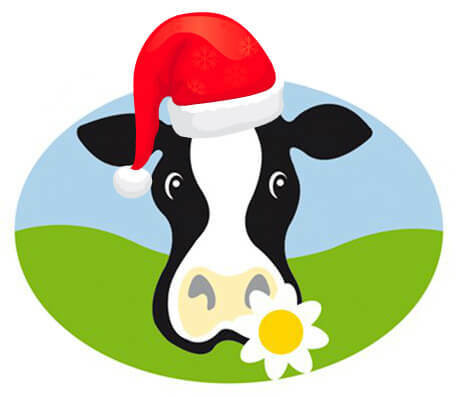 Christmas Ice Cream Flavours include Mince Pie, Christmas Pudding, Irish Cream, Chocolate & Orange, Turkish Delight, Brandy Cream, Caramelised Fig & Mascarpone and NEW FOR 2018: White Chocolate & Ginger and a CocoHazelnut flavour, inspired by Ferrero Roche! For something a little more refreshing, we are also producing 2 sorbets: Gin & Tonic Sorbet and NEW FOR 2018 Clementine Sorbet! Black Forest– Chocolate & Cherry Classic! 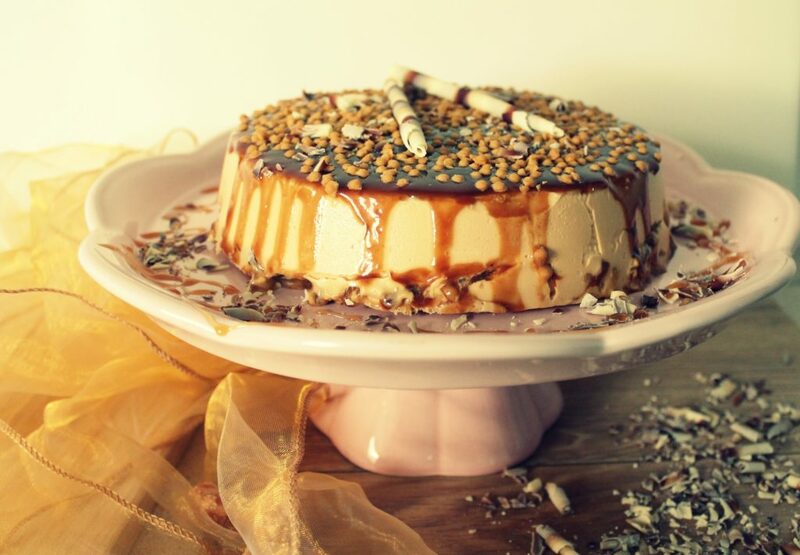 Salted Caramel Decadence - Indulgent & Delicious! White Chocolate & Ginger -New! F Roche - Chocohazelnut & simply divine! New! We also have our Christmas Tasting Selection Pack available. This features 6 x 120ml tubs of our Special Christmas Flavours in a presentation box and makes an ideal gift for any Ice Cream Fan. They are fully personalised so you even choose the 6 flavours you include in there. Ice Cream Cakes are available in any of these flavours. All made to order and priced at £18.60 each. If you would like more than 1 please specify in comments box below. 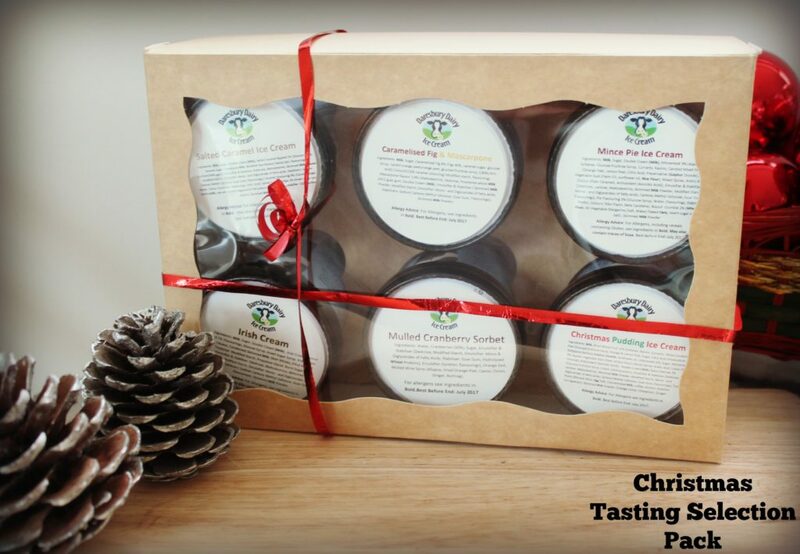 Please select this option if you would like a Christmas Tasting Selection Pack 6 x 120ml tubs in a presentation box and priced at £13.00. You can choose any 6 flavours from our Luxury Christmas Range or standard core flavour range (same flavours as shown above for the take home packs but in 120ml tubs). Alternatively you may have a standard Christmas Selection where we will select 6 of our most popular Christmas Luxury Flavours. Christmas Ice Cream Lovers Gift Pack (Everything you need to accessorise your Ice Cream: tubs, cones, flakes, fudge sticks, Sauce & Sprinkles! Please select this option if you would like an Ice Cream Lovers Gift Pack Priced at £12.00. You can also purchase an optional Gift Voucher for 2 take home packs for £8.00. Please give details in comments below if you would also like to purchase a gift voucher. Please select your preferred date to collect the order from us. Please ensure we receive forms by 2nd December 2018 to be in time for collection prior to Christmas. If submitting this form via email, please ensure we receive a deposit for 50% of the total value of the order within 3 days of submitting the order (Electronic Bank Transfer or payment can be made in the shop by cash or card). Please comment in the box below if you would like more than 1 of anything (each flavour of Take Home Packs, Cakes or Tasting Selection Packs and give details of flavours required in Tasting Selection packs). e.g. If you have ticked the Chocolate Orange Take Home Packs Box above but would actually like 3 Chocolate Orange Packs, please write 3 Chocolate Orange in the Box provided here. Alternatively you can give us any other comments.